SEAMAN JOB INFO - Posted/Feb/2019 E.R. Crew Management. 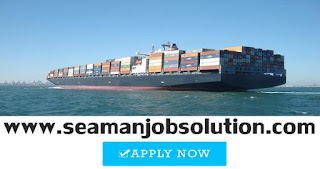 Looking Filipino seafarers crew to joining on container vessels deployment A.S.A.P. On 16 March 2016 E.R. Group, Bernhard Schulte Ship Management and Philippine partners founded the E.R. Crew Management (Philippines) Corp. (ERCP). The company’s headquarter is based in Manila. Philippine Overseas Employment Administration (POEA) has granted its Manning License on the 27 July 2016 and crewing operations started on 1st of August 2016. With the initial 75 ships officially registered at POEA, ERCP employs about 1,600 Filipino Officers and crew on board. Ground Flr (Reception Area) & 12th Flr, BSM House Building 1965 Leon Guinto St. Malate 1004 Manila. brent.dayo@ercp.com.ph/willie.mangalino@ercp.com.ph / www.ercp.com.ph / Tel. +632-2432511. 0 Response to "Chief Engineer, 2nd Engineer, Fitter For Container Vessel (Philippines)"